PowerSimulator with EPRI OTS is the leading product for ensuring that NERC certified system operators obtain their NERC mandated 32 hours of annual training in Emergency Operations along with their simulator based continuing education hours to maintain their operator certification.PowerSimulator has been built by a cooperative effort involving the intellectual property of PowerData Corporation, Incremental Systems Corporation, and the Electric Power Research Institute (EPRI). 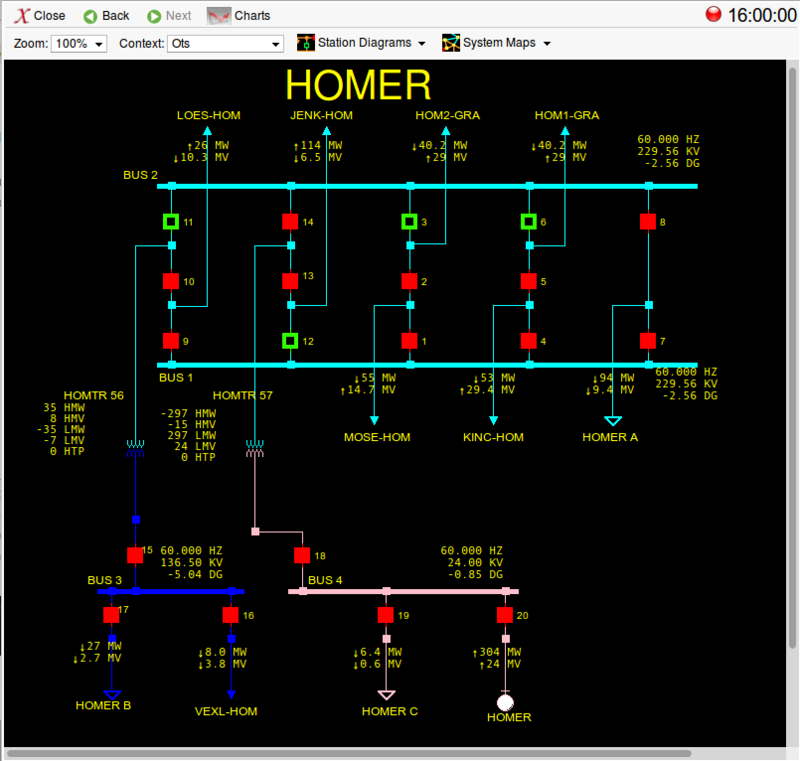 PowerSimulator is based on the EPRI Operator Training Simulator (OTS) power system model. Unprecedented reliability matched with the ability to simulate some of the most devastating system events: system restoration, Ferranti rise, weak source busses - all with the operator in mind. No Simulator is more suited for the demanding needs of today's training environment than PowerSimulator. With personal or team modes and a local or regional scope, PowerSimulator solves a myriad of training objectives. Whether you choose Generic or Custom PowerSimulator for your training needs, cost of ownerships has never been lower. Your training staff will save time and energy so that they can focus on the training, not maintenance. Unlimited access at any time from any place. PowerSimulator is available as an application service over-the-web so all you need is a high speed internet connection and a web browser. Should you feel inclined you could even use PowerSimulator during your vacation in Maui. PowerSimulator is applicable to a number of NERC standards including PER 005, EOP 005-2, EOP 006-2 and PER 005 R3.